Summer is just around the corner, and with school starting to finishing up around the country it’s time to bust out the grill and make some family pleasing dinners! 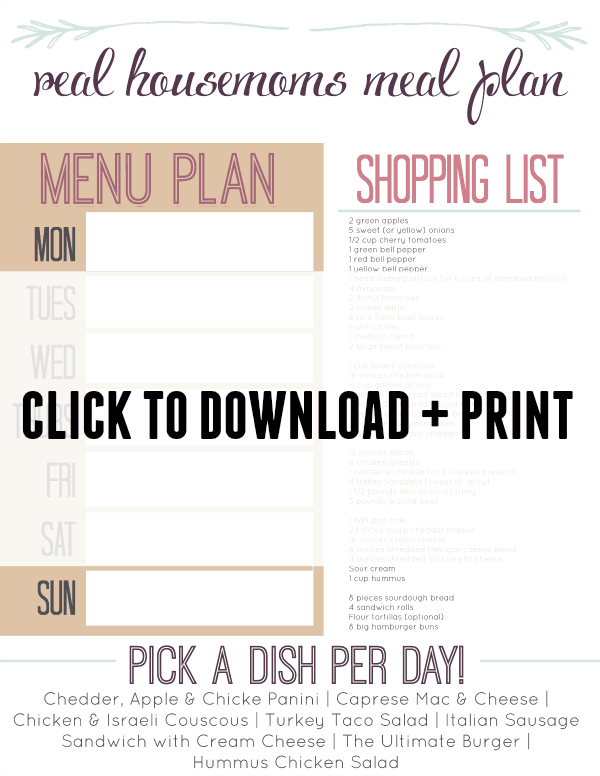 This week’s meal plan has recipes to keep the whole family happy, energized and not weight you down. Better yet, they’re easy to make and are great the next day if you have leftovers! I like to start the week off easy with a dinner I can have on the table in 10 minutes. 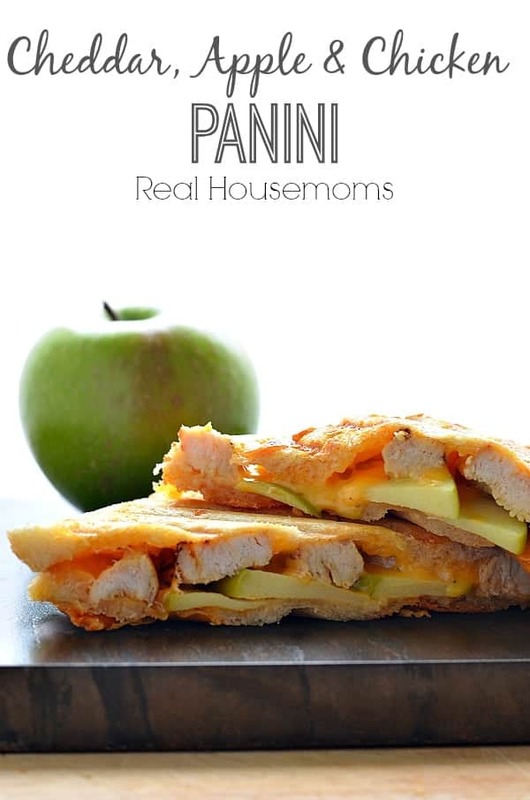 Grab a rotisserie chicken or use some sliced, leftover chicken breast from the weekend to whip up Cheddar, Apple & Chicken Paninis in a flash! 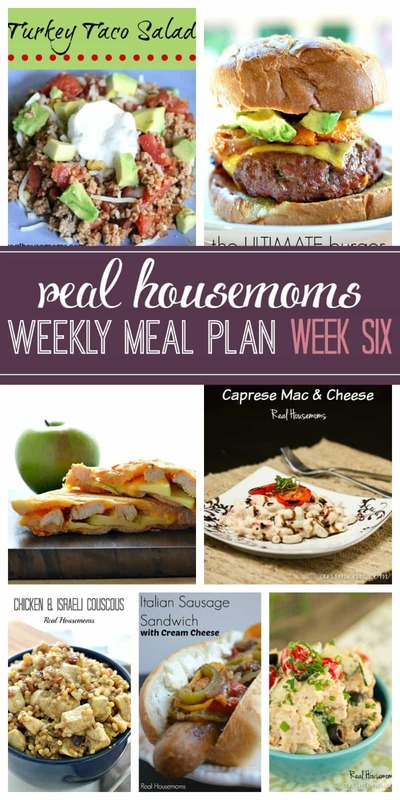 Serve them up with a side salad to hit the entire food pyramid! Macaroni and cheese is one of those comfort foods you can’t help but love. 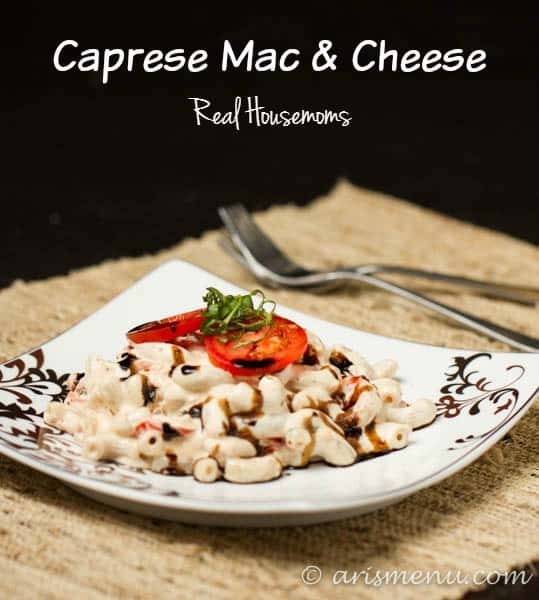 Caprese Mac & Cheese is a delicious combination of classic Southern food with an Italian twist for a dinner that’ll leave you wanting more! 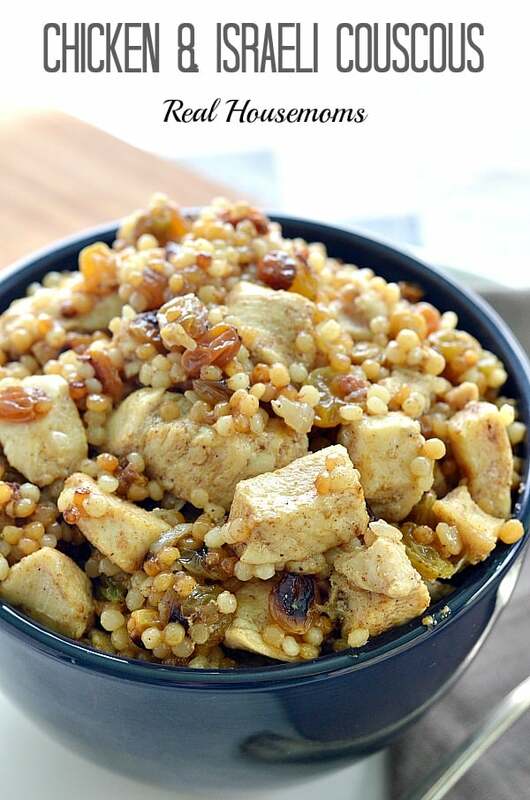 I LOVE this Chicken and Israeli Couscous! It uses cinnamon even though it’s a savory dish and has a very Middle Eastern flavor. It doesn’t add a sweetness to the dish so if you’re a little worried about it, just try it and then you’ll fall in love. Trust me I wouldn’t steer you wrong. 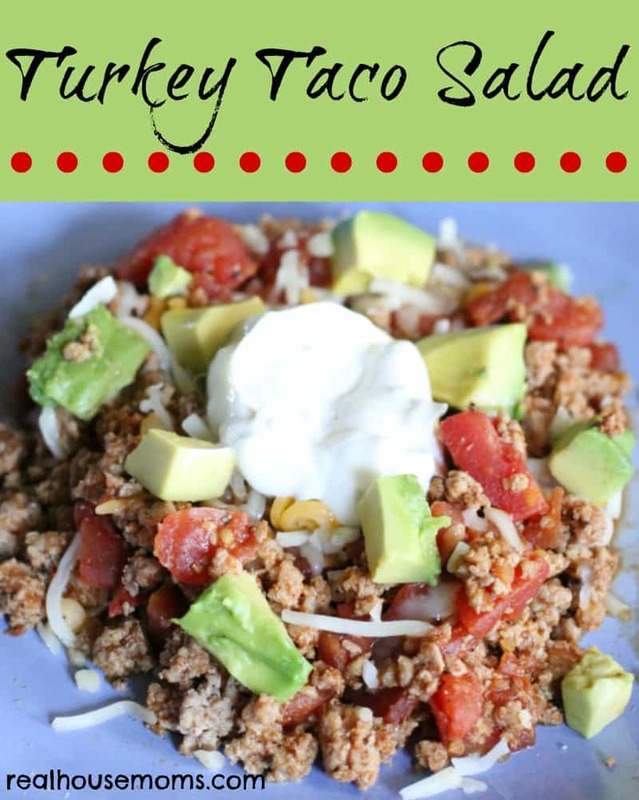 Taco night gets a healthy makeover with Turkey Taco Salad. Serve this dish in a bowl, in a lettuce wrap, or in a tortilla bowl! Ever picky eaters love this one! 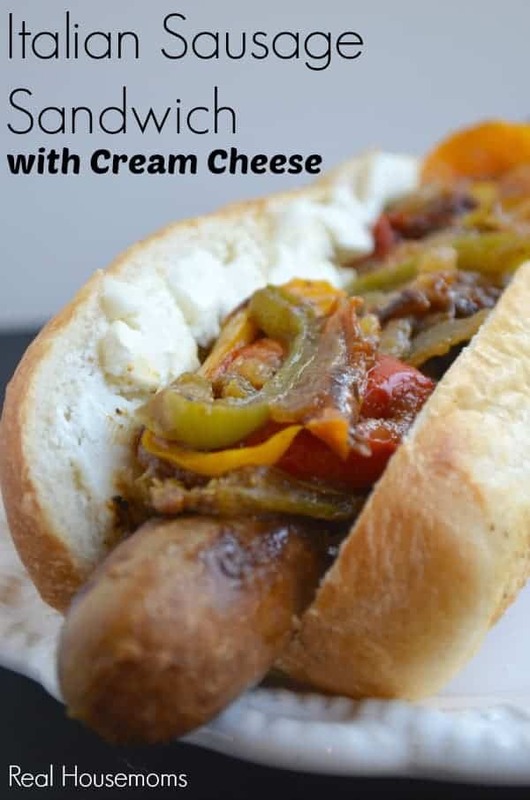 With a house full of boys sometimes I have to break out the “man food.” My boys love these Italian Sausage Sandwiches with Cream Cheese! Try ’em and you may never go back to mustard again! 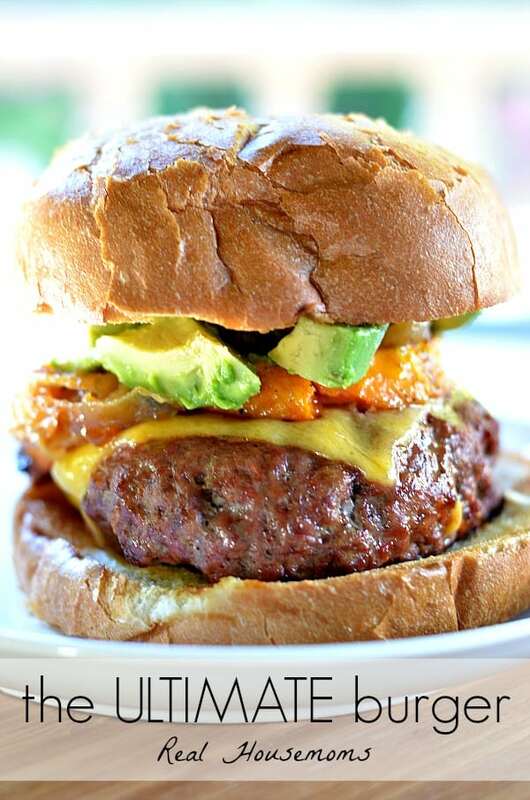 I love to grill on the weekends, and with summer peaking its head out I can’t wait to make The Ultimate Burger! This burger is piled high with my favorite toppings, and sneaks a few extra veggies into your families dinner! 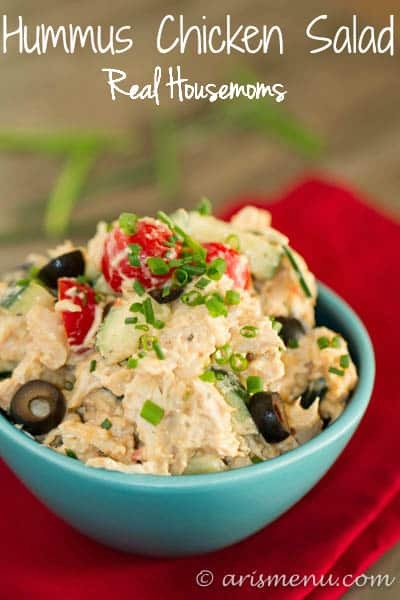 I like to make a big batch of Hummus Chicken Salad on the weekend. It is delicious by itself, or between a couple slices of bread, but the best part is I’ve left overs for everyone’s lunch on Monday! Make it once, eat it twice, make my life easier!